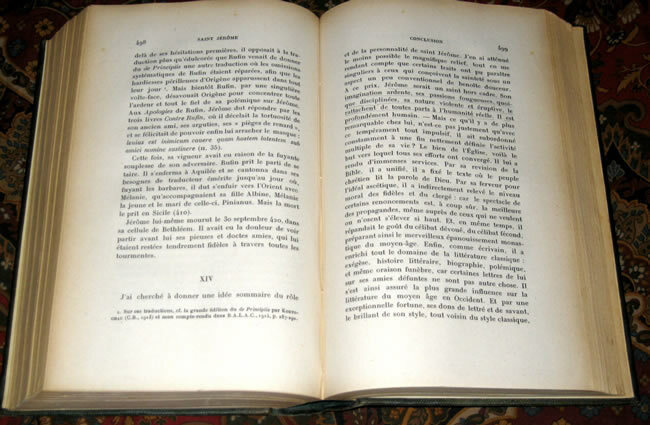 From the personal library of J.R.R. 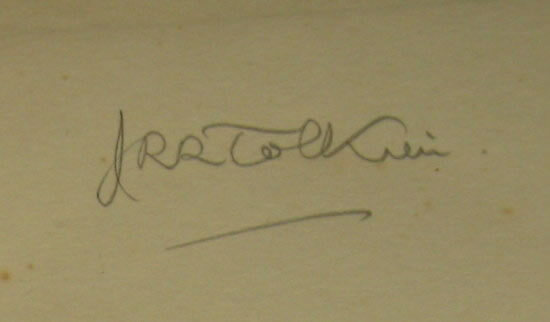 Tolkien, his copy with his signature, in pencil to the front free endpaper. 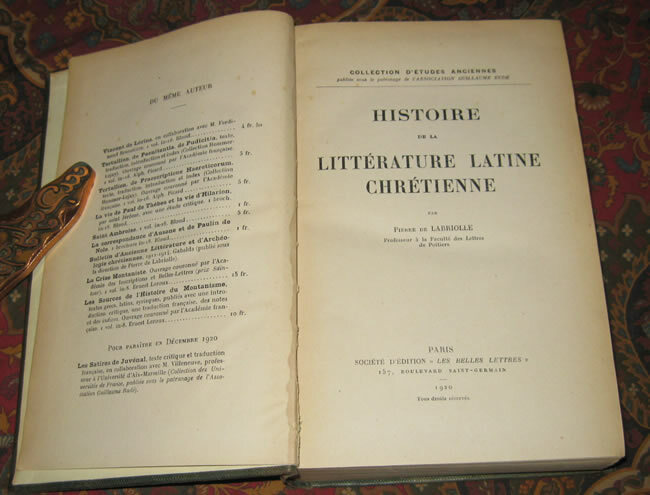 Histoire de la Litterature latine chretienne, written by Pierre de Labriolle. 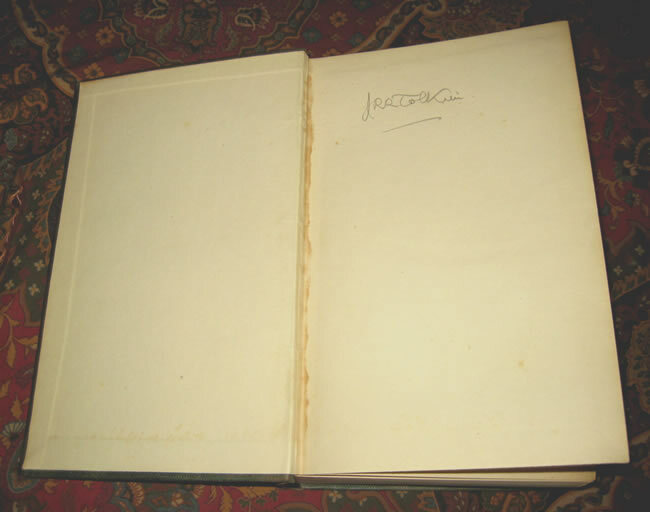 The contemporary buckram binding shows some handling as to be expected, however no fraying of the cloth. 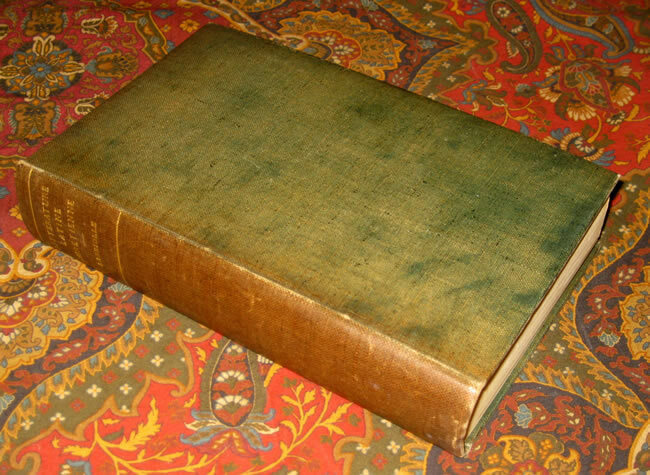 Text block is a little darkened to the margins, with a few scattered spots of foxing to the preliminaries. A few pages with pencil underlining, no annotations were noticed.